We’ve got a pretty fantastic show lined up for next week (Tuesday, July 21), and we couldn’t do most of these, month after month, without the amazingly musical, sight-reading master, technical virtuoso, Emily Grabinski! Enjoy her take on classical music in CLE below! 1: Who are you? 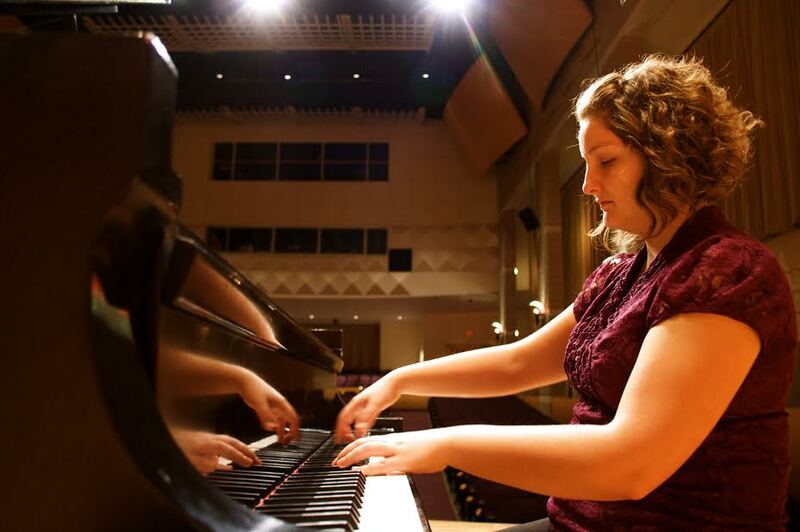 I’m pianist, Emily Grabinski, originally from Muskegon, Michigan. Fun fact: My appearance on the CRC blog makes me the fourth featured musician hailing from “America’s High Five” – high five! I begged for piano lessons as a child and started at age 6, even though we didn’t own a piano in the beginning. I would practice every day on the windowsill, and later on a mini keyboard on the table, until the day we finally got one. Now I play regularly solo and with OPUS216, Appian Duo, and various pick up ensembles. In a city that bustles with independent classical music projects, what makes you unique? I’m a “classical” musician who has the training and love for that repertoire, but who also grew up playing “non-classical” music that seems completely foreign to many classical musicians. As a teenager, I bought the entire Beatles anthology and read the songs down cover to cover. The same goes for the book of charts for the Ben Folds Five “Whatever and Ever Amen” album. His influence on me as a pianist is no less than that of Martha Argerich or Jeremy Denk. It’s an attitude, an approach to the instrument, playing more than what’s printed, actually listening and being present. Almost every time I play, someone comments that I “look like I’m enjoying myself.” I am! Even if a piece is outwardly contemplative, angry, or sorrowful, there’s peace in expressing that. Underneath the genre differences, the musical and emotional nuts and bolts are essentially the same. Any upcoming performances and recent notable events? I find my Facebook page (Emily Grabinski, pianist) to be a great tool for keeping audiences updated on lots of musical events. I am also more excited than ever to premiere a piece I commissioned by my brilliant friend and composer, Von Hansen, at the July edition of CRC on the 21st. Not to give it all away, but the instrumentation is for piano, tape, and a basketball. Let’s just say… Lebron James might make an appearance. Be there. Any focus on education/outreach/community engagement? All of the above. I teach a full studio of private students and share my music within the community as much as possible. Truly, I take issue with the concept of performer vs. audience; I prefer the perspective that we are all just coming together to share a musical experience despite playing different roles. I like to talk and hang out with the audience almost as much as playing the music. To walk on stage, perform a concert for a bunch of people, and then walk off and go home seems so sterile to me. There’s no simpler form of “community engagement” than just talking to the audience. They are usually so intrigued and full of questions about the music and the musician’s experience that their desire to be uplifted and educated is palpable. In the end, both parties walk away inspired. Long-term plans/goals? I’m looking forward to returning to the University of Oklahoma next spring to perform with my musical partner of 8 years, David Cook. As the Appian Duo, we have explored much of the clarinet/piano repertoire and will continue to do so. Personally, I’d love to take songs/pieces from non-classical genres and re-work them for solo piano. Perhaps record it all and release it on an album. Win a grammy or two or five. …Maybe I’m getting ahead of myself. Craziest gig or performance memory? There are so many, but as a pianist in general, adapting to whatever instrument is on site at the gig is always an adventure. I’ve played on pianos that are missing keys, pedals, music stands, you name it. This can be infuriating at times, but I also like the challenge of “How can I conjure a beautiful sound from this completely dilapidated instrument?” It’s easy to sound great on a Steinway grand that is constantly maintained by a technician, but to sound great on any given instrument is a testament to the artist playing it. Most moving/satisfying/affirming performance memory? Again, there are many of these. Off the top of my head, a performance of Brahms’ Intermezzo No. 2 from Op. 117 comes to mind. To be honest, I was becoming exhausted of the piece, as it had been coached by three different teachers, and I was not looking forward to playing it again for one last public performance. It was a rare “the show must go on” moment for me. Anyway, before I played, I told myself that for 5 minutes, this had to be my favorite piece in the entire universe. After the concert, I was taken a little off guard when an audience member approached and told me that she had synesthesia, but that she only experienced it when she heard truly beautiful music. She then thanked me because she was seeing the most sparkling ocean blue the entire time. Favorite NON-classical music and/or artistic inspiration? Artists like Stevie Wonder, Michael Jackson, Freddie Mercury, Radiohead; they’re giants. No one does what they do. I think the Punch Brothers are really special; every member is a virtuoso, and they can play all the traditional bluegrass at the same time they rewrite the script. There’s nothing more exciting than that. 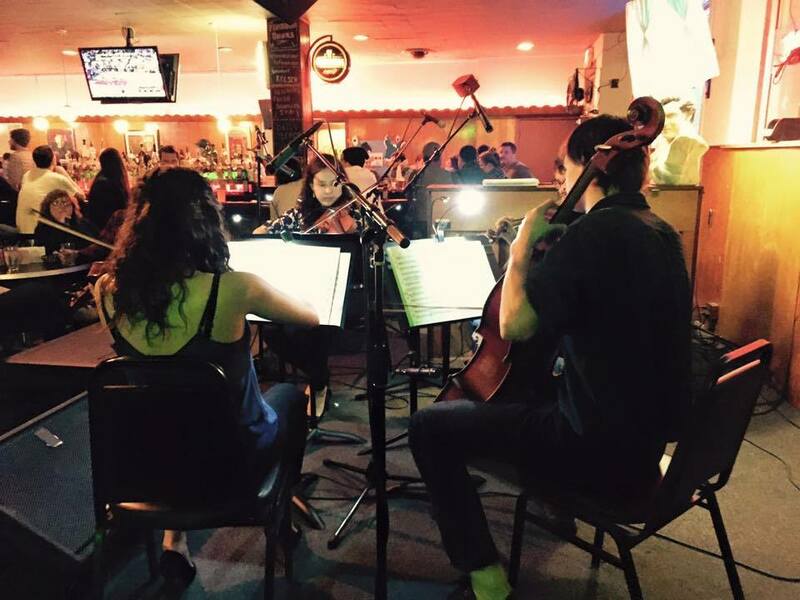 What do you love most about Cleveland’s independent classical music scene?That so many people in Cleveland have a great knowledge, love, and enthusiasm for classical music. And if they don’t, they are open to experiencing it. Previous Next show: Tuesday, May 19 @ The Happy Dog! Next Another Ohio fall, another great season @ CRC in CLE!